Sales of Seat cars in Germany fell to 49,331 in 2008. MUNICH - To save costs, the German operations of Volkswagen group's Skoda and Seat brands will move into a single building. Currently, Seat Germany employs 150 staff in Moerfelden, 15km west of Frankfurt. Skoda Germany employs 250 and is located in Weiterstadt, 20km south of Frankfurt. The two brands will move into new offices in Weiterstadt by the end of 2010. 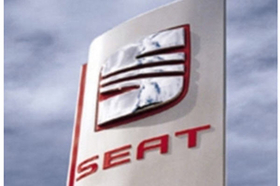 Seat Germany spokesman Alexander Skibbe said both companies are working out details of the move. Sales of Seat cars in Germany fell to 49,331 in 2008 from 52,888 the year before. The Spanish brand's market share declined to 1.60 percent from 1.68 percent. Skoda increased its Germany sales to 121,277 units last year from 118,682 in 2007. The Czech brand increased its market share to 3.9 percent from 3.8 percent.